Gov. 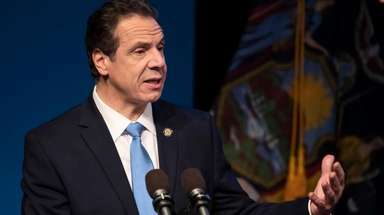 Andrew M. Cuomo touts the state’s Excelsior Scholarship as one of his most significant accomplishments. In its first year, the program provided free public-college tuition to students in middle-class families that earn up to $100,000 a year (a salary cap that eventually will rise to $125,000). However, the program’s limitations are showing. The Center for an Urban Future, a public policy organization, finds that 20,086 students statewide received Excelsior Scholarships in 2017-18 out of 63,599 applicants who weren’t getting other tuition aid. Of those denied, a surprising 83 percent didn’t make the cut because they could not take 30 credits, a full course load, in two semesters. The goals of providing SUNY and CUNY students with the chance to go to college tuition-free — and graduate in four years — are laudable. Progress is being made, but Excelsior’s requirements lead tens of thousands of students who qualify financially to lose out on assistance that could help them complete college. The numbers confirm concerns that have existed from the beginning. But there should be ways to add flexibility. Perhaps, begin by including summer and intersession courses in the scholarship, so students could spread out their credits. Or, consider lowering the credit requirements for the scholarship slightly, particularly for community colleges. And state officials must ensure that SUNY and CUNY schools have the necessary resources to provide the classes students need. Let’s make the Excelsior work for more students.